How do you know when it is time to move animals from one pasture to another? Most people figure that if they are out of feed in one pasture, it is time to move. The herd is probably standing at the gate voicing their agreement that it is time to “Mooove.” There’s nothing they’d like better than to be in fresh, clean forage in the next paddock. But tempting as it may be to follow the herd’s advice, the primary driver of the timing of a move should NOT be the quantity of feed left in the pasture being grazed. It should be the quantity of forage available in the pasture the herd is getting moved to. If that pasture hasn’t recovered from the previous grazing, the herd should NOT be moved into it. 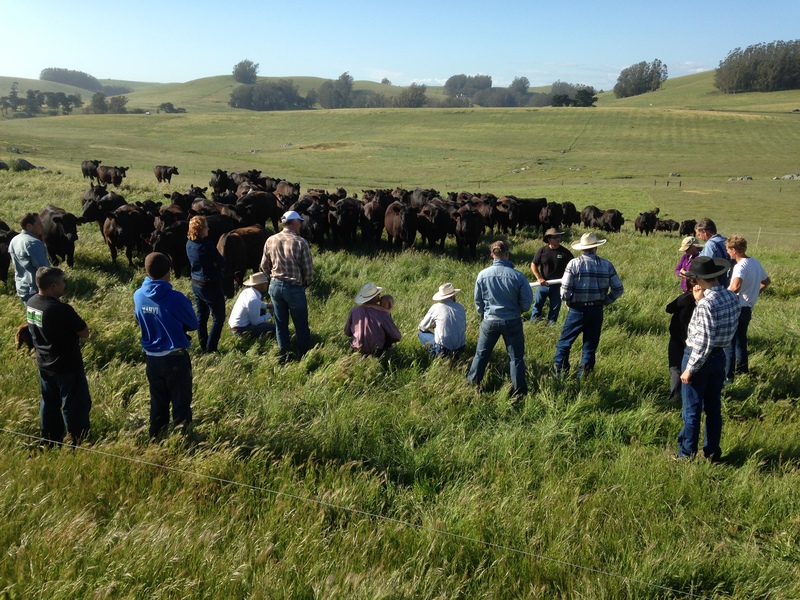 Moving into a pasture before it has recovered promotes soil compaction and weeds. It leads to less desirable forages and reduces carrying capacity. Of course, if a pasture has been grazed to dust the animals should be moved. In fact, they should have been moved long before the pasture was pummeled. But if other pastures haven’t recovered they should not be moved to those pastures. They ought to be moved off the ranch (destock) or into a dry lot to feed hay until pastures have recovered. If you aren’t willing to destock or feed, animal performance, pasture productivity and long-term ranch profitability will suffer. Moving the herd from a paddock that’s been severely grazed to one that needs more time to recover is the first step down a slippery slope. If we are running out of feed, our pastures need more time to recover, not less. Moving early results in less recovery time. Every experienced grazier has fallen into this trap at some point. It’s not a fun place to be, and getting out is emotionally and financially draining. Watch the video below to see what can happen when you let the severity of pasture use drive your grazing decisions. I’m not suggesting that the severity of grazing in a pasture isn’t important. It is. The more severely you graze a paddock the poorer the animal performance and the longer it will take to recover. The more leaves you leave, the faster the pasture will recover. However, in making your decision to move or not to move the severity of grazing is secondary to making sure paddocks have recovered from the previous grazing. I recommend that you get in the habit of checking the pasture you plan to move animals into BEFORE you check the pasture the animals are in. While you are in the pasture that’s recovering, ask yourself, “Can I move them here today?” If the answer is “No,” don’t let your cows convince you otherwise.